The ocean is where life started. Fishes are some of the most interesting and varying types of animals in the animal kingdom. 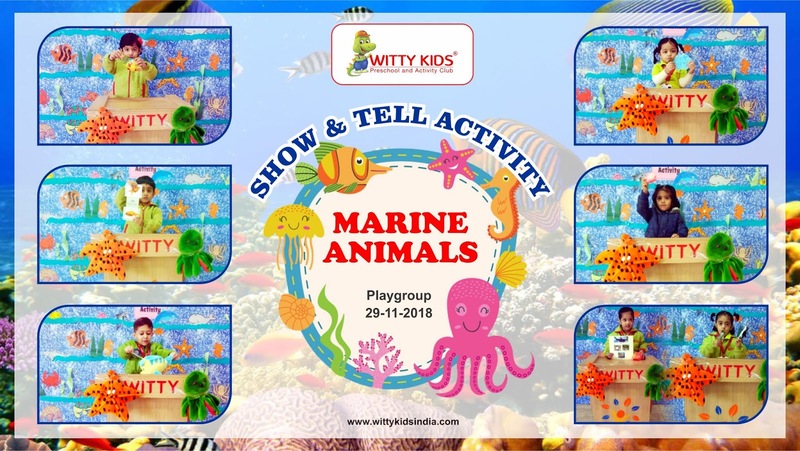 On Thursday, 29th November, 2018 little Wittians of Playgroup at Witty International School, Udaipur enjoyed Show and Tell activity based on the theme Marine animals. The classroom corner was decorated with the theme of ocean life including lots of fishes and sea creatures. 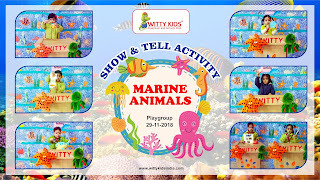 They enjoyed discussing about the marine life and animals. They were told about different types of fishes, where do they live, what they eat, how they swim etc. They brought their favorite fish toy and placard and spoke few lines about the same. It was a fun-frolic day for the little toddlers.